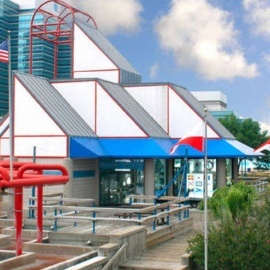 The Jacksonville Maritime Museum understands and preserves the Maritime history of Jacksonville. A great exhibit for families to visit for free. The Jacksonville Main Library is a great source for all of your educational and informational needs. Get ready for a good time! The Lady St. Johns is Jacksonville's newest party cruise, holding over 300 people and enough room for 2 dance floors.